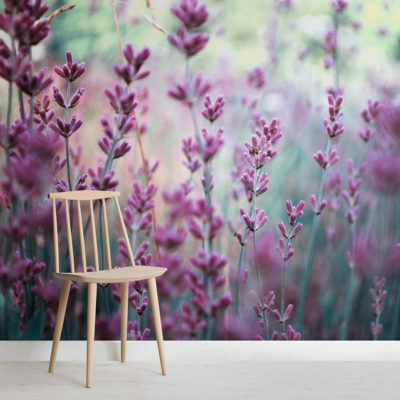 Create a beautiful, elegant space in your home with our beautiful Purple and Pink Dark Floral Wallpaper Mural. 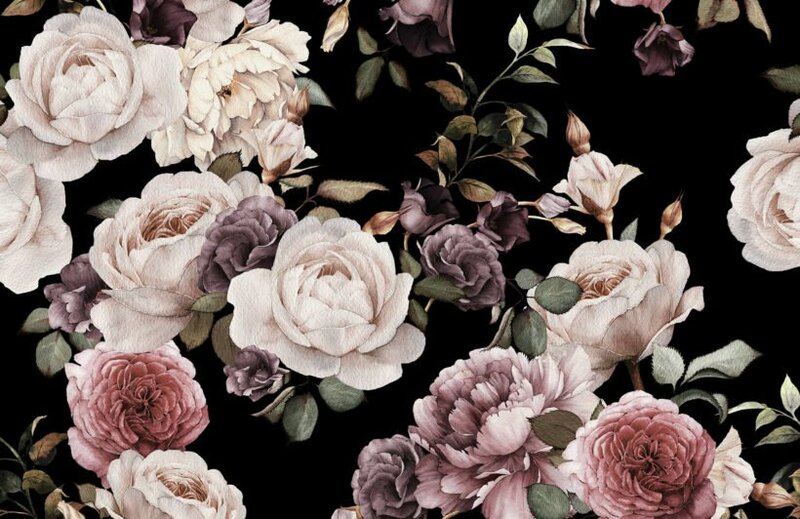 This design creates a vintage look with its large rose illustrations which are toned and saturated in color for a sophisticated feel. 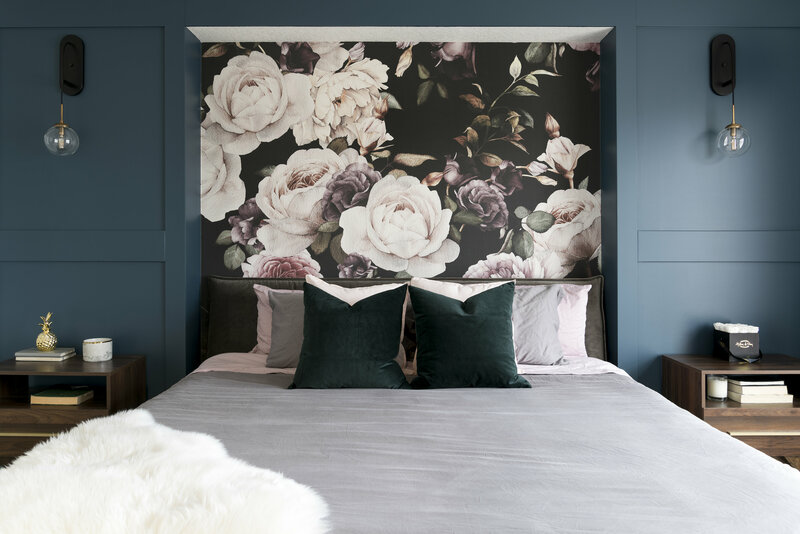 If you have your heart set on a dark floral mural for a room in your home, this charming floral design will allow you to have a dark wall that is classical and neutral rather than overpowering. 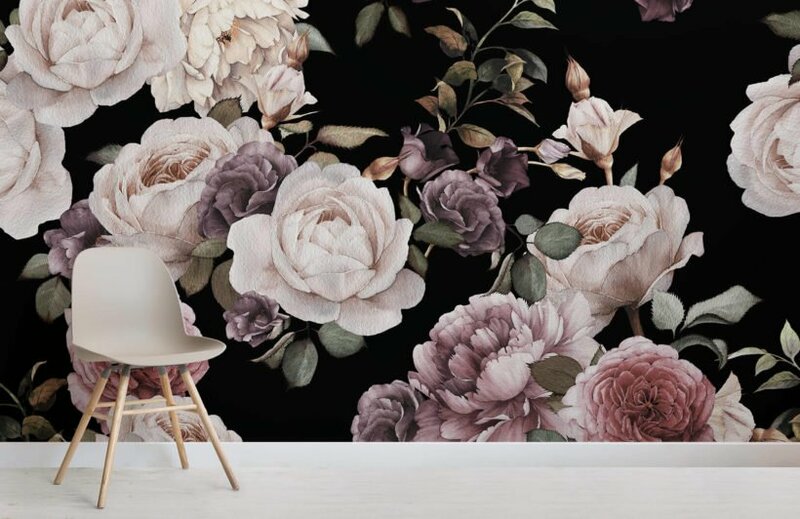 Match this wallpaper with traditional furniture and deep colors to complete the look. 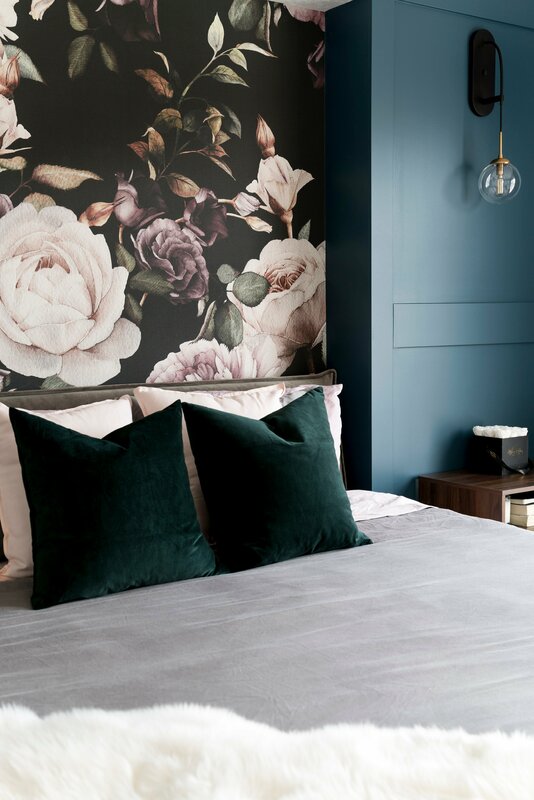 We used this wallpaper as the artwork/focal point of a bedroom project we were designing for our clients. 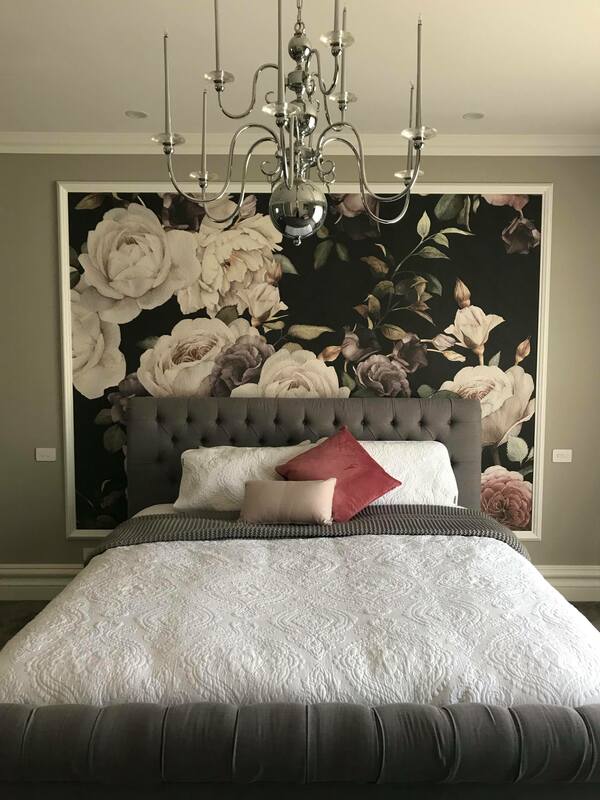 We LOVE how it turned out, how easy it was to install, and the colors were bang on to what was presented online. 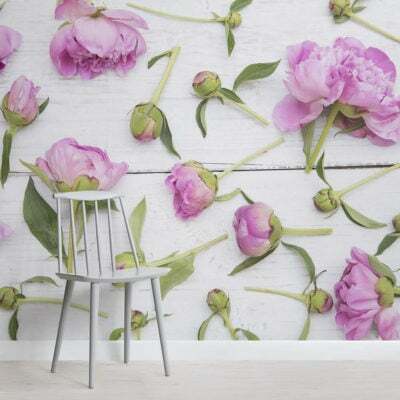 We highly recommend using MuralsWallpaper! 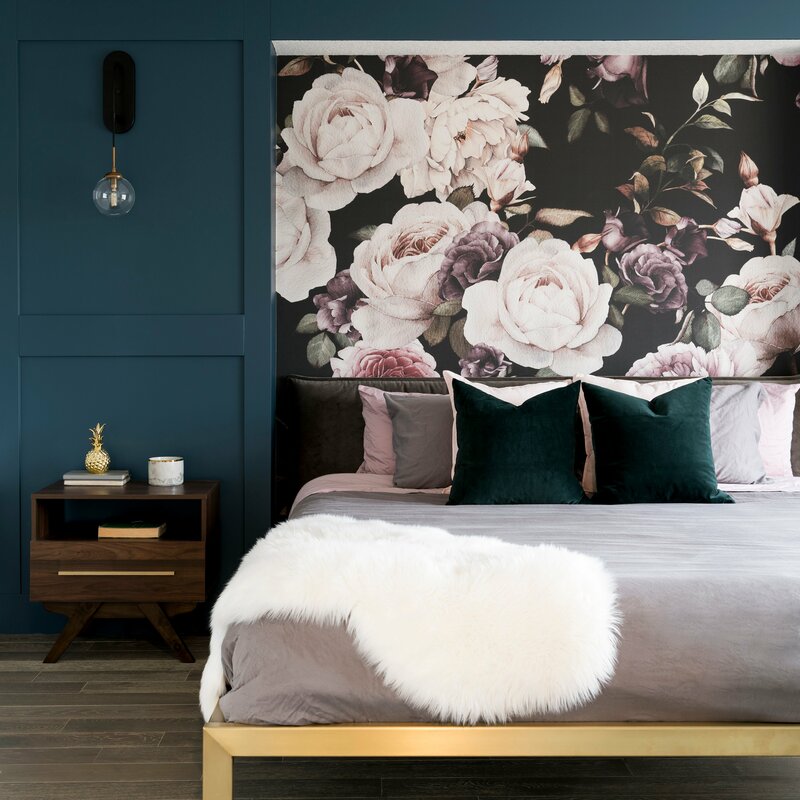 Our bedroom went from bland to WOW! 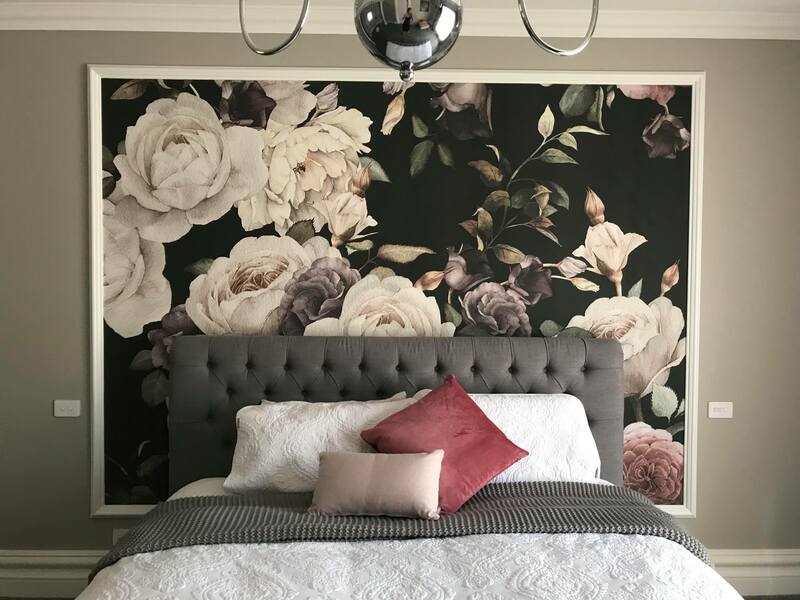 I absolutely love the mural we ordered! Everyone comments on how stunning it looks, it makes me smile every time I walk into the room! 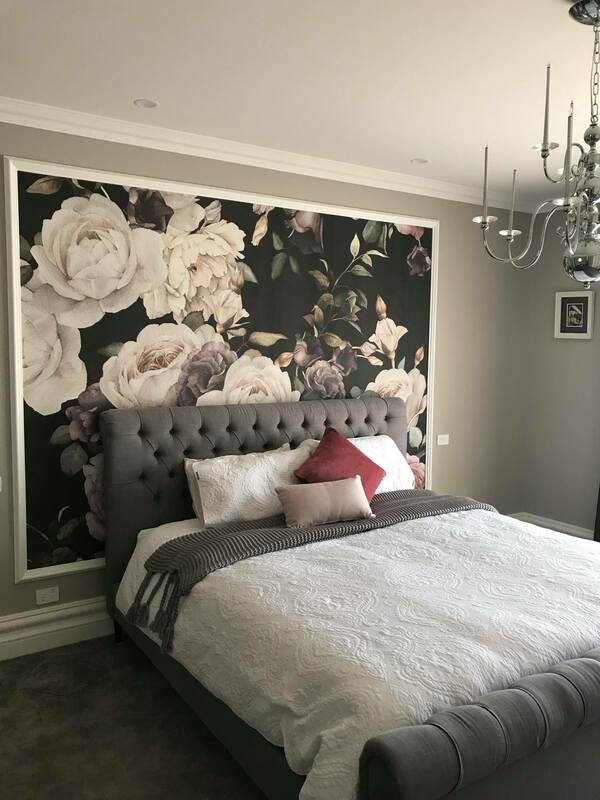 My husband said it was fantastic quality and very easy to put up!